Playing Ancient Stone Tablets, Chapter 2 on an actual SNES console is awesome. 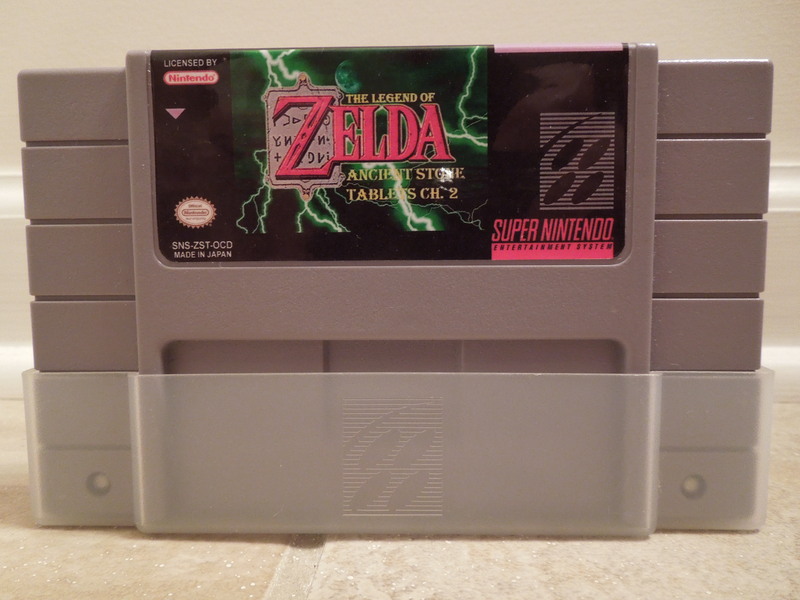 Note 1: Also check out my reviews of BS Legend of Zelda and Ancient Stone Tablets, Chapter 1! Quick History, Sound & Music, Control: See my review for BS Legend of Zelda, Chapter 1 for more information. Story: In Chapter 2, your chosen character, either an unnamed boy or girl, has recently been magically transported to Hyrule, where Aginah the wise man and Princess Zelda have befriended you. Around that same time, monsters began attacking Hyrule. In Chapter 1, you discovered 2 ancient stone tablets that are the key to unraveling the mystery of your arrival and the attack of the monsters. In Chapter 2, you have traveled with Aginah to Kakariko village to continue searching for the next 2 pieces of the ancient stone tablets. Gameplay: You have 50 minutes to defeat two dungeons in Chapter 2 – Dungeon 3 and Dungeon 4. At the end of each dungeon is a boss, whom you defeat to obtain an ancient stone tablet. In addition to the dungeon, you can also explore the village of Kakariko to find some items, rescue a dwarven blacksmith in the Lost Woods, and explore any part of the Overworld that is open to you. There is a clock in the top left corner that starts at 2:06 and ends at 2:56. Certain events happen at certain minutes on the clock, like rain falling or a merchant appearing who will sell you a bottle. You can quickly gather most of your items from Chapter 1 from thieves. 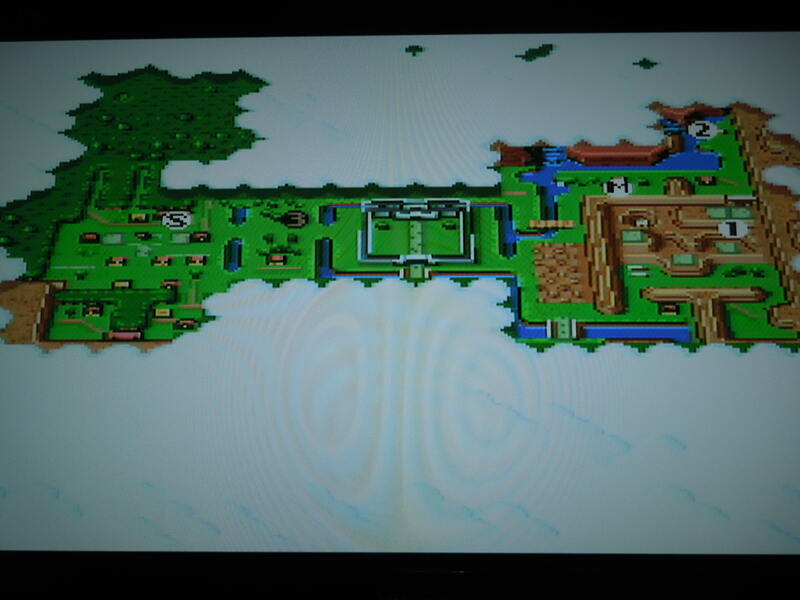 In Chapter 2, you have a larger portion of the Overworld to explore. 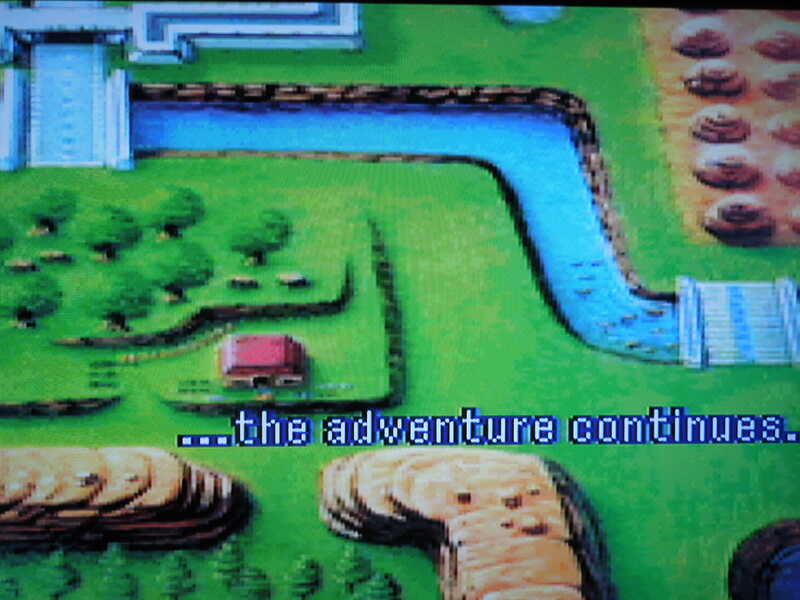 Beginning the game: Originally, for the Broadcast Satellaview, you could play all 4 chapters of Ancient Stone Tablets across a 4-week period – and you could save your progress after each episode/week. Therefore, after you beat Chapter 1, having gathered certain items like the boomerang, bow & arrows, and heart containers, you would have those things when you started Chapter 2 the next week. However, since this game, like Chapter 1, is restricted to its own SNES cartridge, there is no way to ‘continue’ the game from Chapter 1 with all of your items. Fortunately, there is a great solution for this. 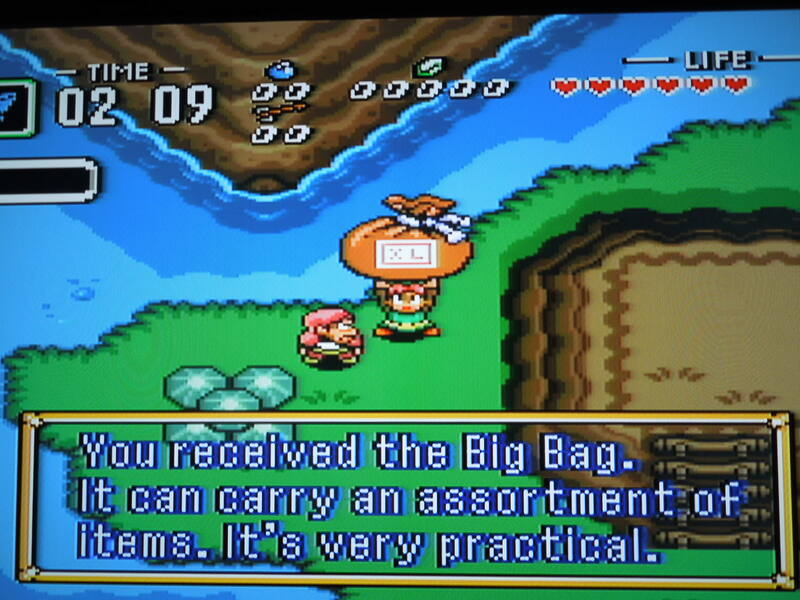 When you begin Chapter 2 in Kakariko village, Aginah gives you a large sack that contains the lamp, net, a bottle, and the flute. He then tells you to travel to Dungeon 1 and Dungeon 2 before you do anything else (the two dungeons you have to beat in Chapter 1). When you select and use the flute, a bird will fly you back to these dungeons. 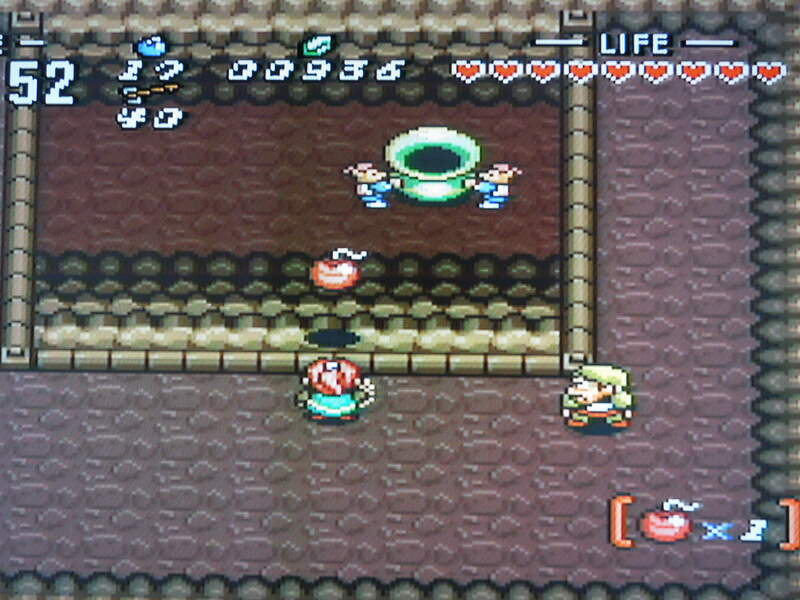 You can’t re-enter the dungeons; instead, a thief stands outside each one and gives you a bag of ‘trash.’ Inside are the items from those dungeons – the Sword, Shield, Pegasus Shoes, Bow & Arrows, 1 Heart Container, and Ancient Stone Tablet piece # 1 from Dungeon 1, and the Boomerang, 1 Heart Container, and Ancient Stone Tablet piece # 2 from Dungeon 2. Unfortunately, if you have played the Chapter 1 cartridge and had acquired extra heart pieces, the flippers, or large sums of rupees, those items will need to be obtained again in Chapter 2 (optional). By the way, it takes all of about 30 seconds to fly back to Dungeon 1 and Dungeon 2 to get your items from the thieves, so you don’t have to worry that it will cut into your time for beating Chapter 2. You’ll gain new items in Chapter 2’s dungeons. There’s a great ‘bomb toss’ mini-game in the Lost Woods. Chapter 2’s Objectives: You have to beat Dungeons 3 and 4 to obtain the third and fourth ancient stone tablets. 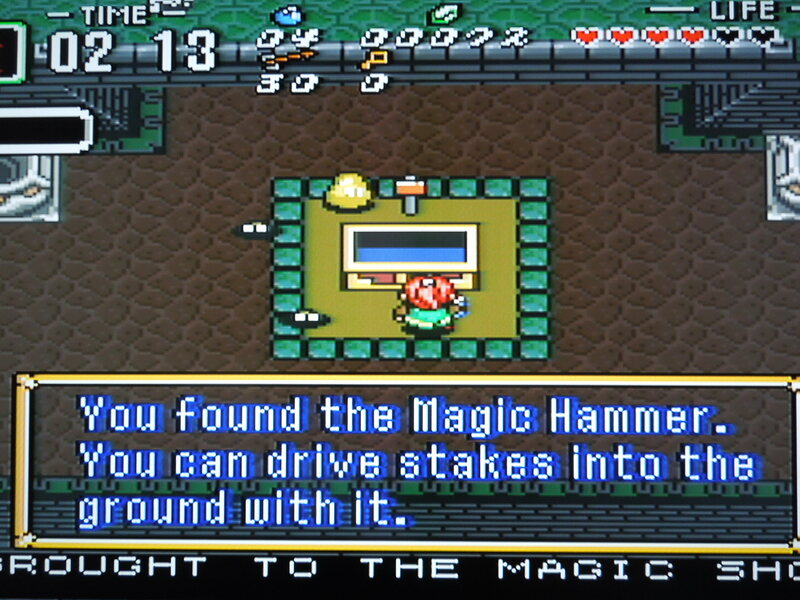 You should obtain the hammer, the hookshot, the level 2 shield, the blue mail (level 2 armor), the level 2 sword, 4 heart containers, the 2nd bottle, and the magic powder. *All of the areas of the game from Chapter 1 (except Dungeons 1 and 2 and the Pot-Smashing mini-game) are open for you to explore and gather items from. 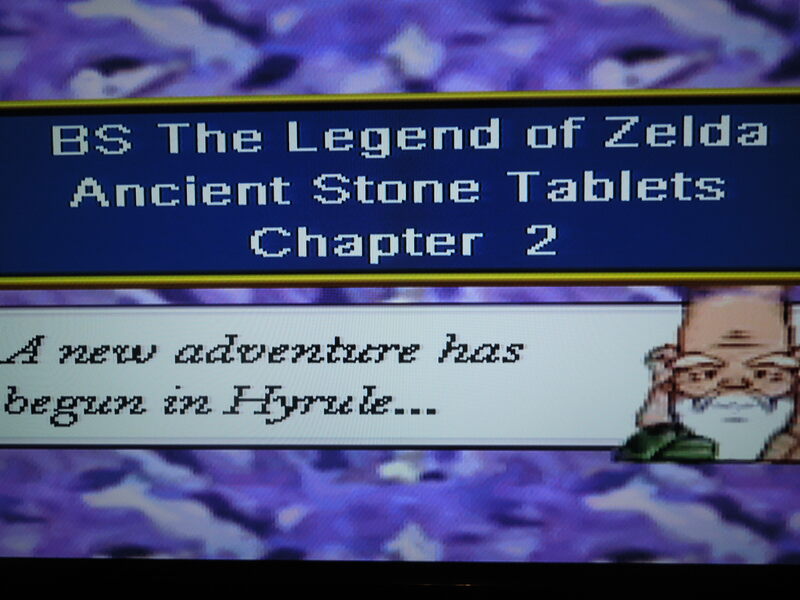 Conclusion: BS Legend of Zelda: Ancient Stone Tablets, Chapter 2 is a great game. Comparatively, the dungeons in Chapter 2 are tougher and longer than the ones in Chapter 1, although they’re still not terribly difficult. In this game, unlike Chapter 1, you may find yourself a little more pressed for time, but it’s still very manageable. Remember, you only have 50 minutes to beat the game (and you can’t stop the clock at all, not even by pausing the game). If you do beat the dungeons early, however, there is plenty to do since you can go back and explore the areas from Chapter 1. Chapter 2 ends with you and Aginah still determined to solve the mystery of the ancient stone tablets.